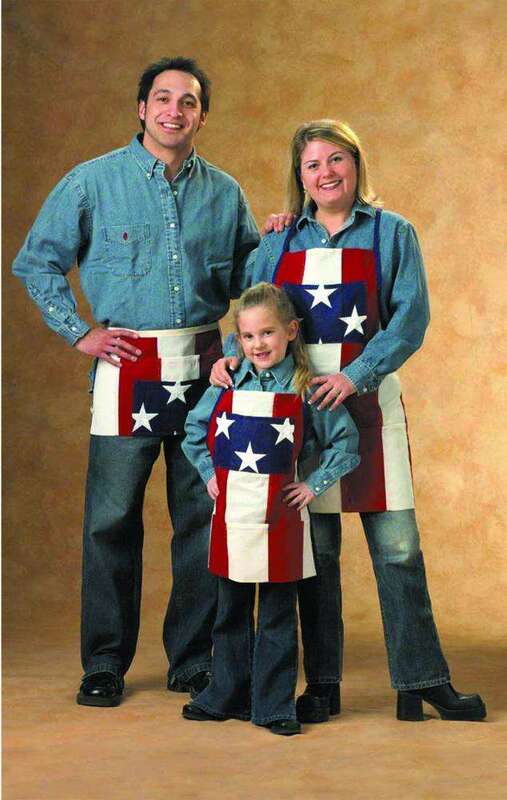 Patriotic Apron - Adult 24" x 28"
These 4 pocket durable aprons are made from 100% 2 ply cotton fabric. Fully embroidered stars, sewn stripes and adjustable waist tie backs. Machine was in cold water and line dry. Available in adult and youth sizes. Adult size is 24" x 28"
Youth size is 20" x 20"
This product and all its parts were made proudly in the United States of America - that's a USFlagstore guarantee.